Adorable card! Thanks for entering the HIMCR 329 challenge. Fabulous card! Love the little elf and the lovely sentiment stamp. I'm also loving the yellow on your Christmas card so unusual, but it looks wonderful! Thanks for sharing your work at Scrapbook Stamp Society Challenge #130. Good Luck and hope to see you again next time. Your Christmas creation is absolutely adorable Cebelica. Ohhh! This little guy is so super cute! Love that liquid appliqué on his hat! 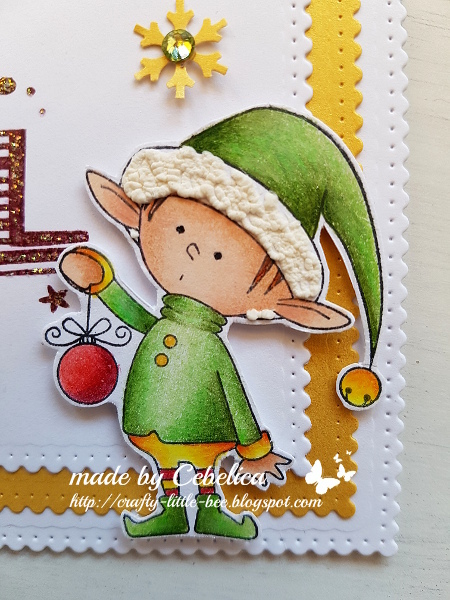 Thanks for joining us over at One Crazy Stamper in our current Challenge!! I just love that pop of yellow on your card. It's all so wonderful and makes me smile. 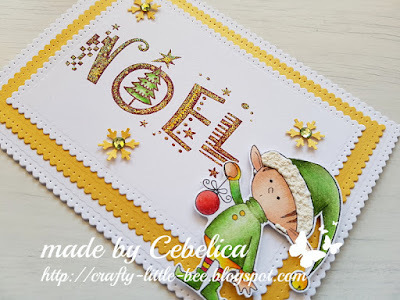 Thanks for playing along with my challenge this week and congratulations on making Top 3 over at heARTful stamping challenge! 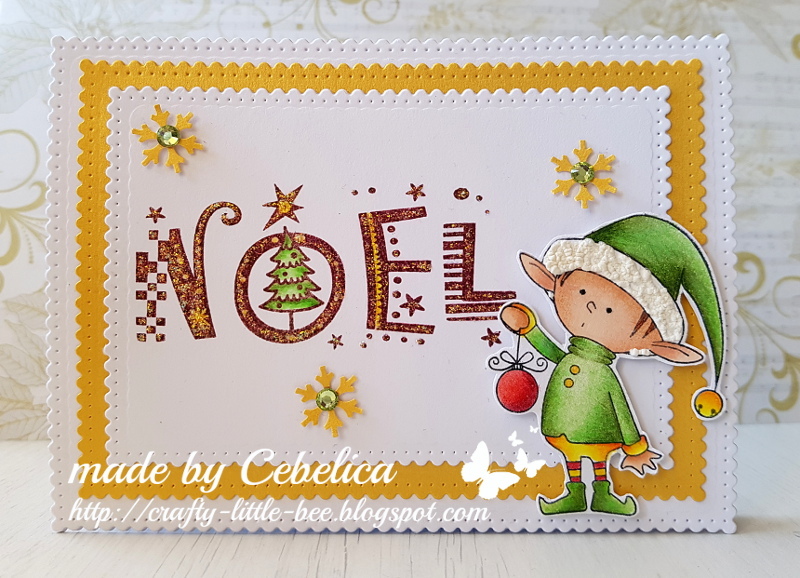 A lovely card and cute image - thank you for sharing with us at Christmas Cards All Year Round. I love seeing images used as embellishments instead of as the focal point! We are always happy to see your work at the HeARTful Stamping Challenge!